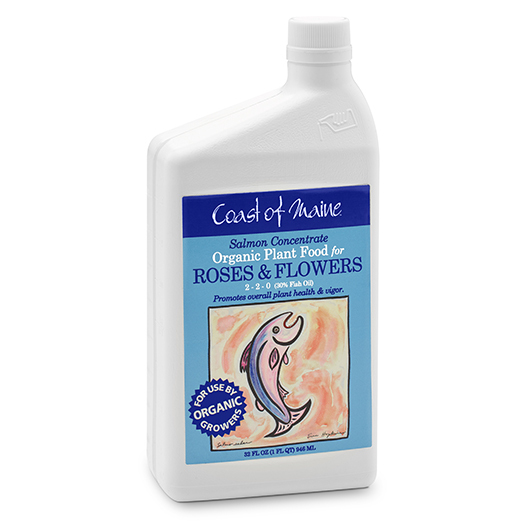 We are bringing back liquid salmon fertilizer by popular demand. Made from salmon and dogfish. 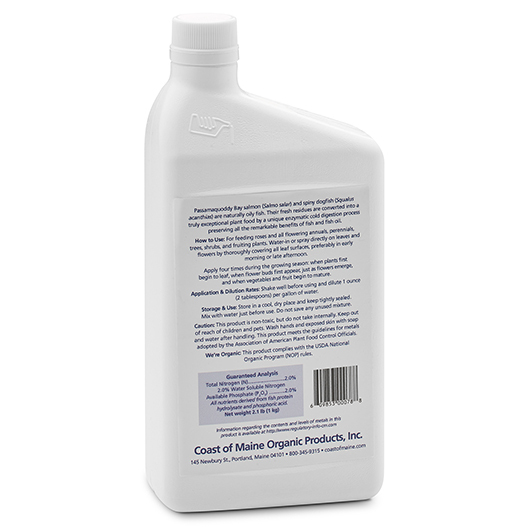 Highly concentrated liquid fertilizer intended to promote flowering and fruiting as well as most indoor and outdoor applications. Available in pints, quarts, gallons and 2.5 gallons. 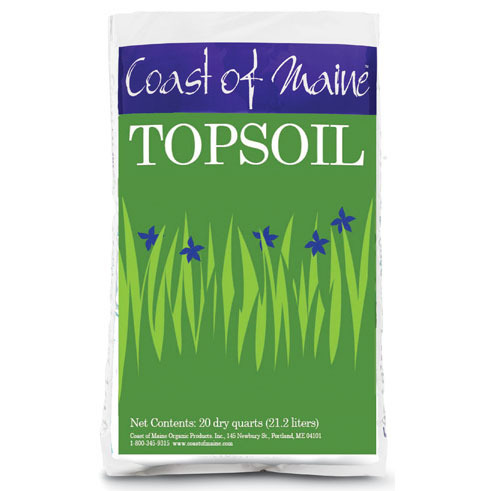 You can purchase this product online, but we also encourage you to check our store locator. We love sending customers to locally owned businesses! Click on the link, type in your town or zip code and then click on the store tab or name for all the store contact information. You will also be able to see if they carry the products you are looking for! Passamaquoddy Bay salmon (Salmo salar) and spiny dogfish (Squalus acanthias) are naturally oily fish. 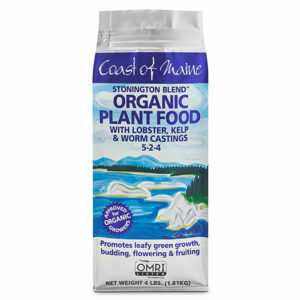 Their fresh residues are converted into a truly exceptional plant food by a unique enzymatic cold digestion process preserving all the remarkable benefits of fish and fish oil. 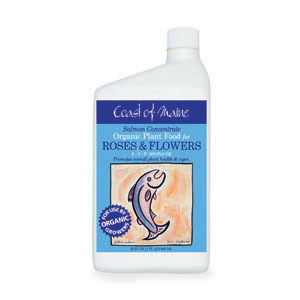 How to Use: For feeding roses and all flowering annuals, perennials, trees, shrubs, and fruiting plants. Water-in or spray directly on leaves and flowers by thoroughly covering all leaf surfaces, preferably in early morning or late afternoon. 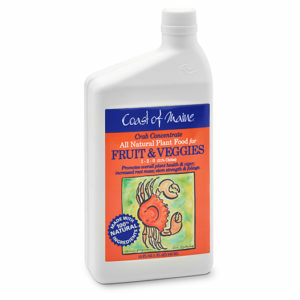 Apply four times during the growing season: when plants first begin to leaf, when flower buds first appear. just as flowers emerge, and when vegetables and fruit begin to mature. (2 tablespoons) per gallon of water. Storage & Use: Store in a cool,dry place and keep tightly sealed. Mix with water just before use. Do not save any unused mixture. Caution: This product is non-toxic, but do not take internally. Keep out of reach of children and pets. Wash hands and exposed skin with soap and water after handling. 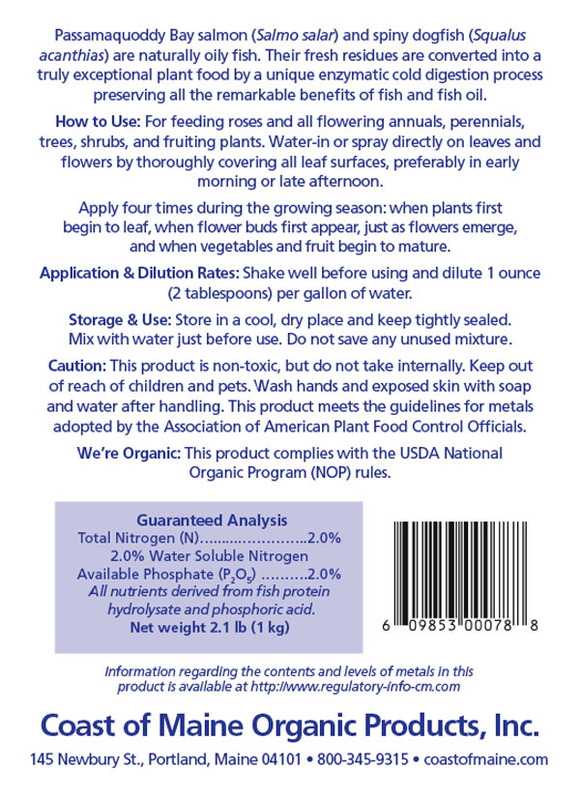 This product meets the guidelines for metals adopted by the Association of American Plant Food Control Officials. 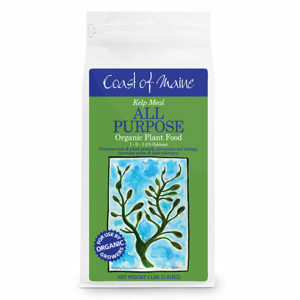 This product complies with the USDA National Organic Program (NOP) rules.